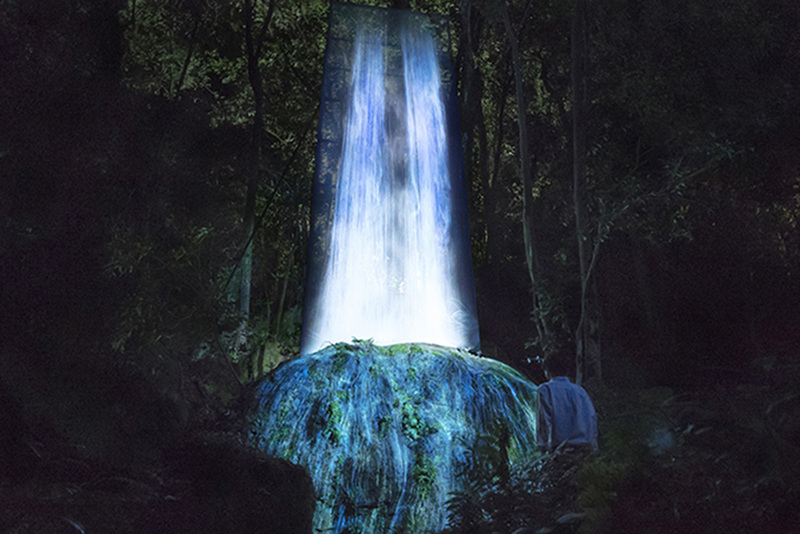 A waterfall cascading over rocks, cliff faces exploding with colour and light, a pond full of darting koi – only none of it’s real, all are illusions designed by Tokyo art collective teamLab. 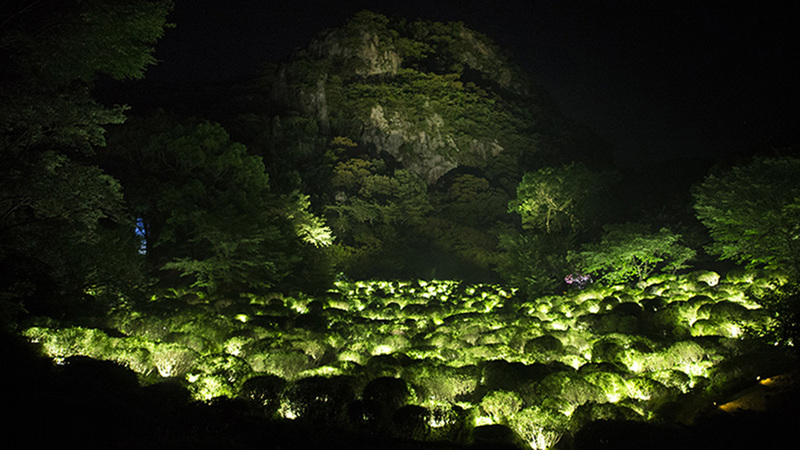 Their latest digital art project is called ‘A forest where gods live’ – an exhibition that transforms trees, rocks and nooks within Mifuneyama Rakuen into canvases for digital art. Entailing 14 separate projects, the exhibition is presented by Shiseido – a long-time supporter of the arts and culture in Japan. 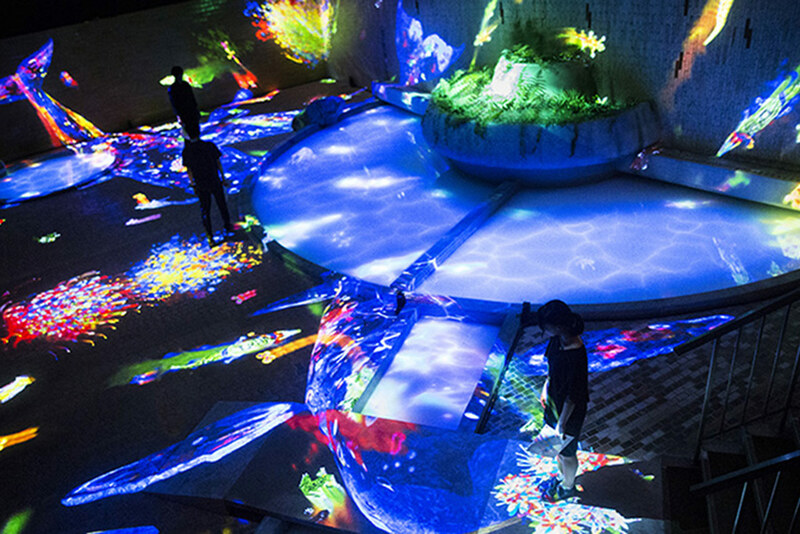 By digitally enhancing the natural environment, TeamLab creates a more immersive way of experiencing art. The pond is especially ingenious because the surface of the water acts as a giant digital touch screen – when the oars hit the water, the koi disperse, leaving a trail of light behind them. TeamLab formed in 2001, and is a team of 400 ‘ultra-technologists’ who represent various fields: artists, programmers, engineers, CG animators, mathematicians, architects, graphic designers and editors. 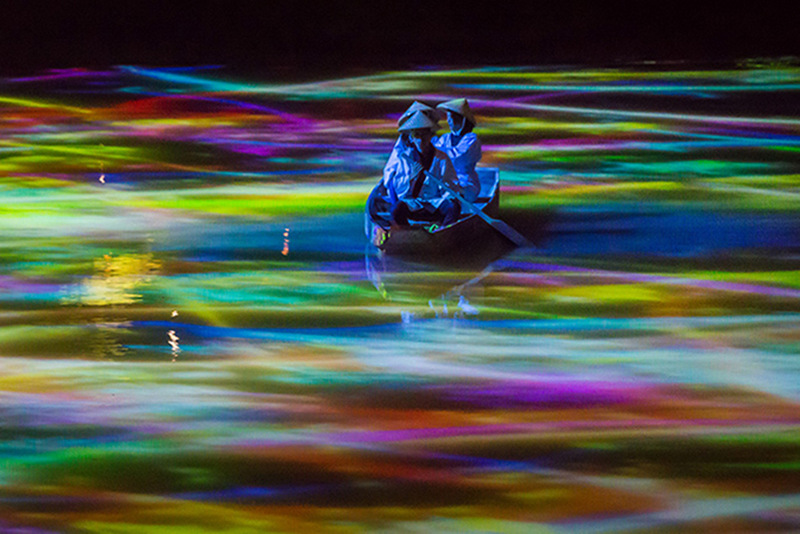 “Our artwork is light and our canvas is everything,” say teamLab, renowned for creating multi-sensory art experiences at larger-than-life proportions – like these recent exhibits in London and Tokyo. 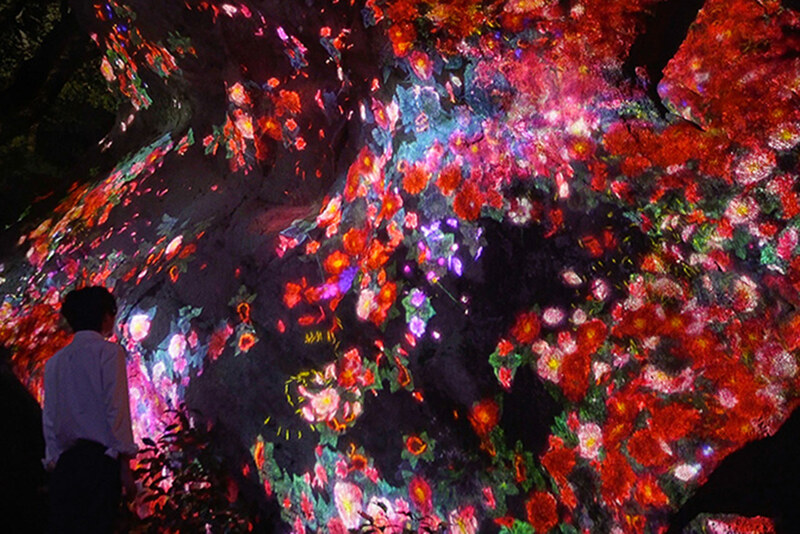 TeamLab’s artists create installations that react to the audience, which means each experience is not only unique but also impossible to repeat. Inside the WASO Tea House – inspired by Shiseido’s WASO label – digital petals float on the surface of each person’s teacup, only to float way when they pick up their cup to drink. “This moment of the artwork can never be seen again and a previous state will never be repeated,” explains teamLab. ‘A forest where gods live’ is a beautiful example of how brands can support experimental artists, and create more immersive brand experiences in the process. 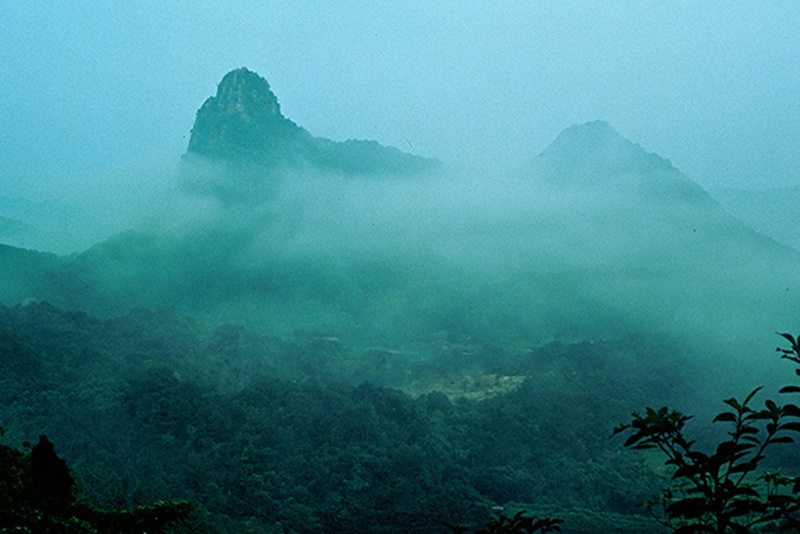 It runs until 9th October in Mifuneyama Rakuen in Saga, Japan.